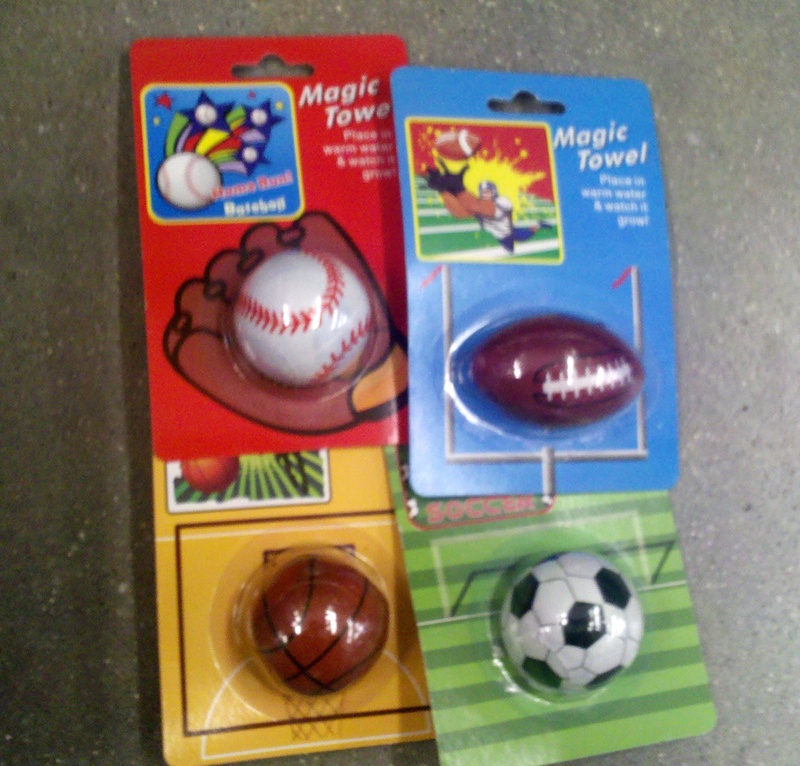 We spent the day at the park - picnic, playing and geocaching! Then bbq and now pushing the two couches together for a couch fort and a family movie - Diary of Wimpy Kid 2. What are you guys up to?! Here are my local finds (at national chains) to help you stash away for your next event. Inspiration has been slim pickings! Golf, Fishing, Basketball, Pool and Casino themed party items you can use for serving! 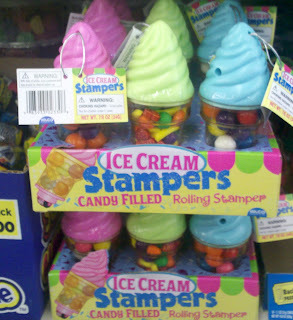 Look past the shot glasses (unless you want to use them ;o) and look how you can use them for serving pieces instead! 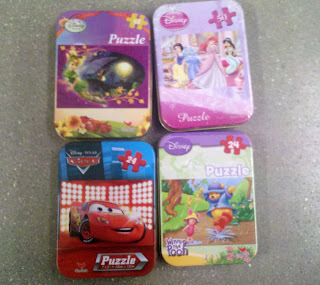 Cute little puzzle tin favors for Disney, Pooh, Cars themed parties! 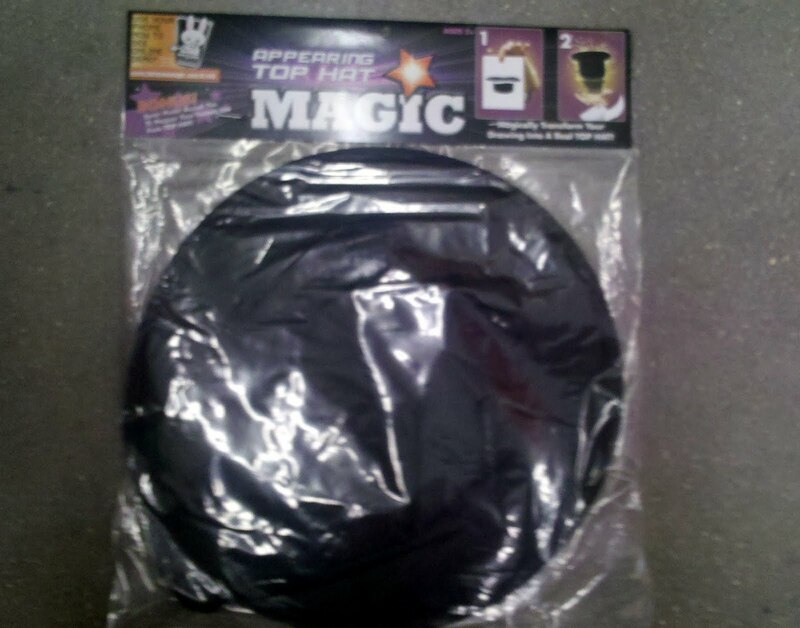 Who doesn't love magic towels?! 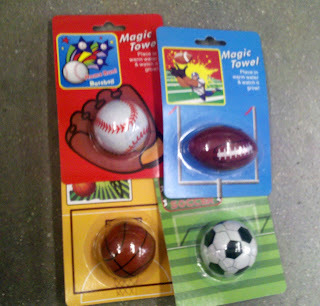 Great for Sports themed parties! For a Magic themed party - pic everyone up one of these magic hats (they had tons of magic stuff)! Use them upside down as serving containers or string them to have them hang at different heights creating a fun area above the dessert table! 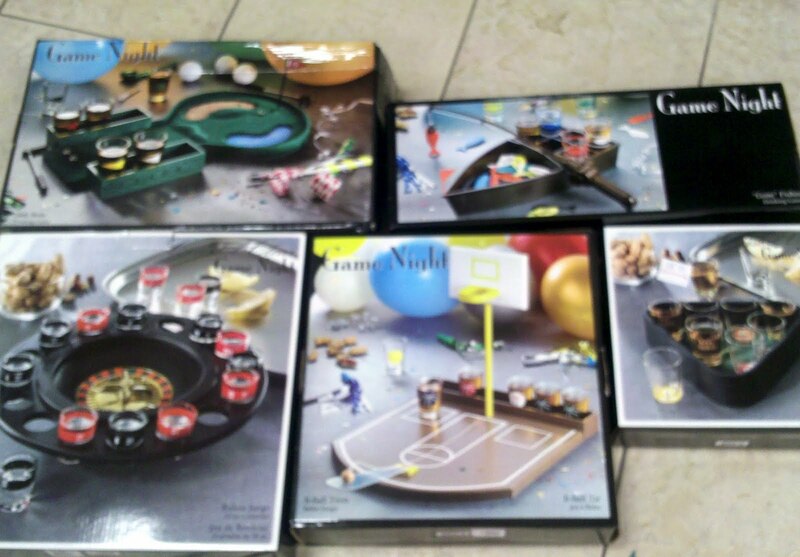 Don't forget to put fun party theme touches in the restroom and kitchen area! These Citrus themed soap pumps would be a great touch. 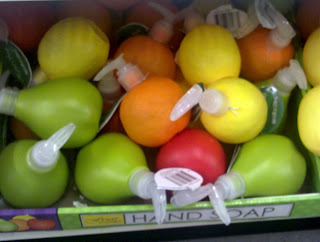 Use the apple one for Snow White or Apple picking party. Icecream social? Not only are these candy holders... but they are stampers too! 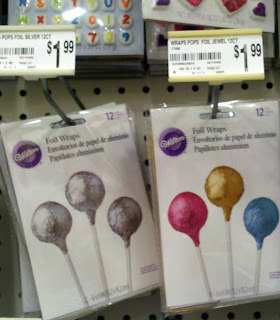 Maybe I am slow... but I never came across these before... foil wrappers for cake balls! love it!